I Don’t Know When to Replace My AC! You rely on your air conditioner all summer long to keep your home cool and comfortable. However, your air conditioner would render completely useless without your ductwork system. Your ductwork is responsible for carrying conditioned air to every space in your home. Therefore, it is important that your ducts receive the same amount of attention as your AC. If you have an issue with your ductwork, don’t let it be ignored: schedule your repairs ASAP. You and your AC will benefit greatly when you schedule your duct repairs this summer. 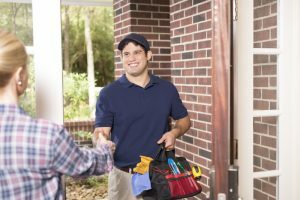 Scheduling this type of AC repair in Mooresville, NC is one of the best ways to boost your AC’s performance and grant you peace of mind and comfort during the time of year you need it most. In case you are not yet convinced, we have outlined just a few of the many ways duct repair will benefit you. Keep reading below to find out more. Perhaps the most important reason to schedule your duct repairs ahead of the summer season is improved efficiency. A leak or a breach in your ductwork can make it a lot harder for your air conditioner to properly do its job, and therefore, it’ll require much more energy to do so. In fact, it has been estimated that up to 30% of your energy can be lost through leaks in your ducts, which equates to a large sum of money out of your pocket. Repairing your ducts just might be the solution that will improve the overall performance and efficiency of your AC, keeping repair costs and utility bills to a minimum. A duct leak or disconnect does not just waste energy. The air pressure can pull dust and dirt from the attic or crawl space and introduce it into your air circulation. These contaminants have the ability to worsen allergy symptoms and contribute to illness, which is definitely a cause for concern. Having your ducts professionally repaired can restore and improve your indoor air quality, making it much easier to breathe the air inside your home. Duct leaks and breaches can make it hard for conditioned air to reach every area of your home, as the drop in pressure does not allow it to travel as far. Though this may not seem like that big a deal, it can have a profound effect on your overall comfort. Uneven cooling is a problem that can affect your home this summer, and it is a problem you certainly do not want. Repairing your ducts might just be the simple solution you need to restore your comfort this summer, which we know is important to you. Be sure to trust only a professional for your air conditioning and duct needs this summer. Only a professional has the training, knowledge, and experience necessary to handle complex cooling repairs. To schedule your duct repairs, be sure to contact the experts at Canella Heating & Air Conditioning, Inc.